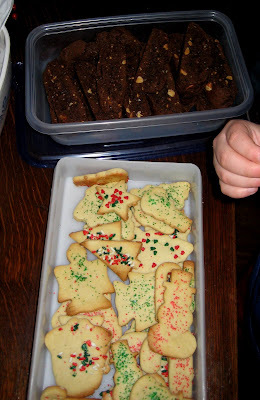 M had a cookie exchange party this year. I’d never been to one, she’d never thrown one, so it was all a nice first for us all. 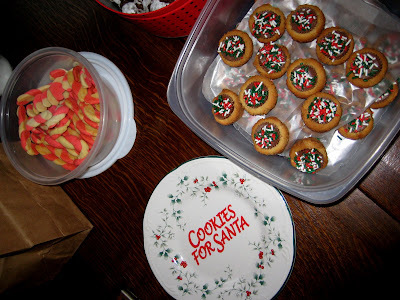 In fact, everyone that went to the party had never been to a cookie exchange party. It was a random coincidence. We couldn’t just stuff our faces with cookies, so M had a nice spread for us. Cheese with port wine sauce. Candied walnuts. 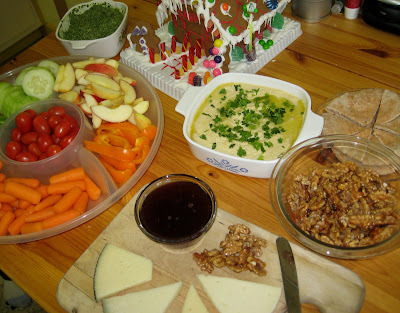 Veggie spread with spinach dip. Hummus and pita. All freakin good, especially the darn walnuts. Some candy cane cookies, with a hint of peppermint. 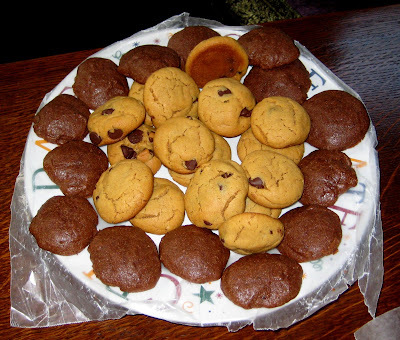 Peanut butter cup cookies with a whole peanut butter cup smooshed in. One of my favorites from the party. R made some fudge and peanut with chocolate chip cookies. This from a woman who doesn’t cook at all, apparently. 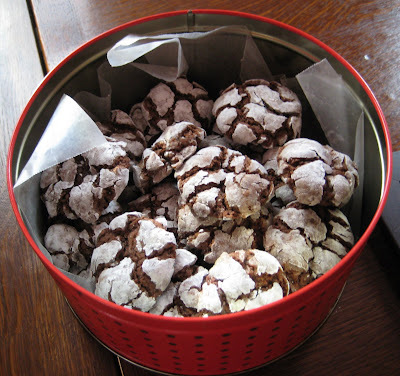 A made these chocolate crinkles which were a huge hit with the kids. They totally cleared her out! K and the kids made some sugar cookies along with chocolate espresso biscotti. I couldn’t even imagine making my own biscotti. 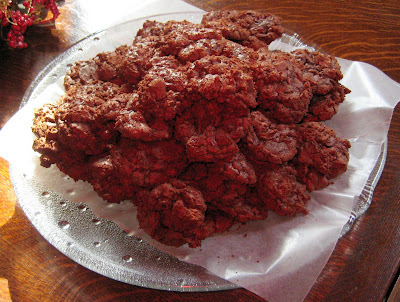 M, the hostest with the mostest, made these chocolate heath bar cookies. Beyond decadent! 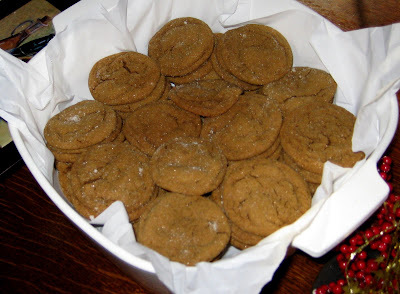 I made some chewy gingersnaps from a random recipe I found on a fellow blog. 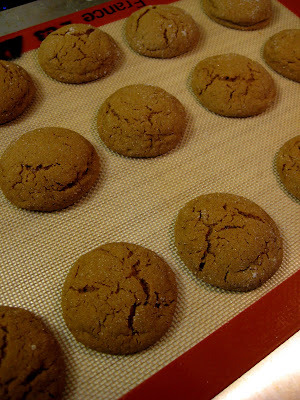 I used fresh spices that I got from the Head Nut, so with every bite of cookie, you got a punch in the mouth with all the spices. They were a hit! How fun! I wish I had more friends who could bake so we could do a cookie exchange.